The first day of summer is upon us, which has all sorts of implications for hiking. 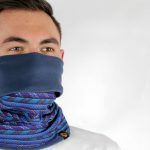 It’s a time for those of us who get cold easily to relish the soon-to-come warmer temperatures during early-morning treks. It’s a time to get comfortable either slathering on sunscreen or wearing clothes with UPF embedded in them. And it’s a time to reflect on our now-passed springtime adventures and the gear and clothes we used on them. Which is where this overview of our Spring 2016 hiking socks roster comes into play. 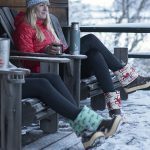 With hands and feet that get cold easily, I’ve penned many articles about gloves and socks for winter. But frankly, springtime conditions aren’t all that different in the Northwest. Depending on where you hike you can still find snow, and the air temps, though warmer, haven’t fully lost their chill. Navigating the market of Spring 2016 hiking socks proved a bit daunting, as it does every year, and not just for me. Yes, my feet get cold, but so do those of a fellow reviewer who happens to be female (women traditionally run colder and are more prone to Raynaud’s). So we embarked on a tag-team reviewing adventure. 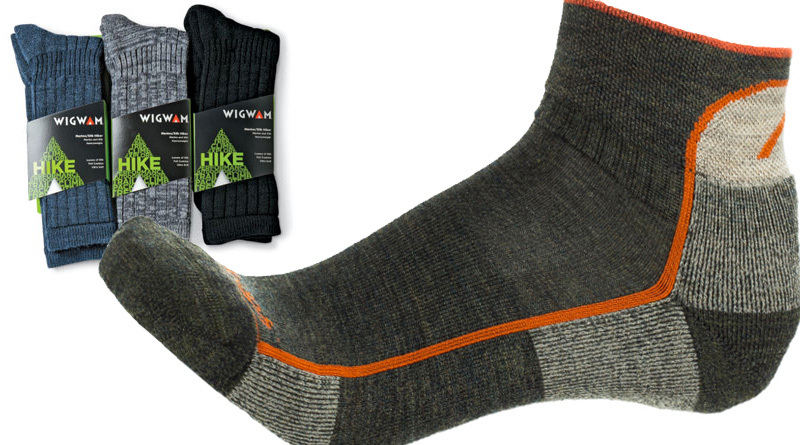 For this Spring 2016 hiking socks roundup, we evaluated socks from two companies: Darn Tough Vermont and Wigwam. 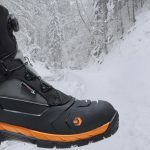 I’ve included below our thoughts on the various socks we tried, some of which were new for 2016 and some of which had new colors but were functionally the same from previous years. Here are our impressions. Jonas: It’s not often you can tell a company’s value proposition from its name. You can with Darn Tough Vermont. Literally guaranteed for life, the company’s Spring 2016 hiking socks lived up both to their billing and to the marketing copy on the back of the packaging during my tests. No matter what the Metro-area hikes threw at my feet, the socks trudged on flawlessly, comfortably and sans stink. All told, I tested three pair: the Micro Crew Cushion, Coolmax Micro-Crew Cushion and the Hiker 1/4-Sock Cushion. The Micro and 1/4-Sock versions are somewhat similar, with the most notable difference being their height. As expected, the taller sock was inherently more comfortable when wearing boots. 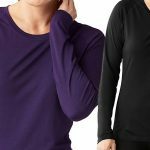 And also as expected, both socks’ composition of 61% merino wool made them odor-resistant with great moisture-wicking, and they were incredibly fast-drying when wet. The Coolmax sock has no wool, instead using a mixture of nylon, Coolmax polyester and acrylic to pull moisture from the feet. Although billed as super-cooling, the 1/4-sock actually seemed better at that, though the cushioning in the Coolmax seemed a step above the other two. I’d happily use any of the three on a local hike, though, and there is no beating their lifetime guarantee. As my wife said, “who doesn’t wear out their socks? So who wouldn’t buy hiking socks with a lifetime guarantee?” Good questions, both. And both answered by Darn Tough Vermont. Sara: My first Darn Tough sock was the Wisteria Daphne 1/4 Sock Cushion-Hike/Trek. I wear a size 6, and the size small sock fit great. 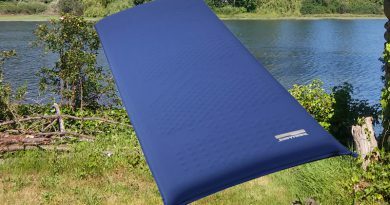 It has some cushion on the bottom that makes it very comfortable on longer hikes, and the cushioning stays cool enough that your feet don’t sweat. The rest of the sock is lighter weight, so it’ll probably perform great during Summer hikes as well. In hiking boots, my feet usually sweat in cotton or other wool socks. We hiked a few times in warmish weather for several hours, and my feet always stayed dry and comfortable. 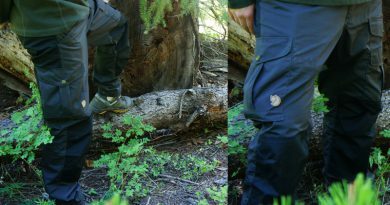 I never had any issues with bunching or blisters, and one of the nicest features was the snug-top fit, which kept debris from getting into the sock mid-hike. The next Darn Tough Spring 2016 hiking socks I tried were the Bluebell Stripe-Mini Stripe Shorty Light. I was blown away by the seamless feature, which not only took away any bulkiness but also eliminated the chance of blistering and made the socks feel incredibly soft. 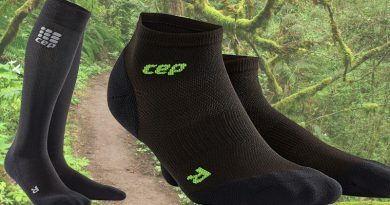 Like the other pair I tried, they kept my feet cool and sweat-free on warmer hikes, especially compared to other wool socks and even some cotton socks I’ve used in the past. Whether in warm conditions, leather shoes or athletic shoes, hot temps didn’t phase my feet while wearing these socks. They also have some fun prints to choose from, which is always a plus. Jonas: Wigwam has been an well-used brand in my house for years, but mostly for winter socks. Some of that was due simply to gifts, and I’ve certainly come to love heavy-duty socks from WoolX and Minus33. With that history in mind, looking to Wigwam for Spring 2016 hiking socks was new territory for me. I was keen to see what their hiking line felt like. Let me tell you, it felt quite comfy. Wigwam’s sock collection is thicker than War and Peace, but the hiking socks therein are appropriate for all ages. 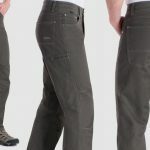 I tested two different styles on various hikes through the Columbia River Gorge and Portland’s Forest Park: the Pikes Peak “Peak 2 Pub” and the Cool-Lite Hiker Pro. Both socks offer Wigwam’s “ultimax” moisture-control system, which I definitely appreciated on warmer spring days. They also both offer a seamless toe closure, which dramatically minimizes the risk of blisters when tackling steep-incline hikes. While I was pleased with both, the Pikes Peak performed the best during my tests. Its cushioned sole seemed more pronounced, perhaps because it’s a lighter-weight sock and thus the sole was more noticeable, and its taller height was more appropriate for boots. And hey, any sock called “Peak 2 Pub” just oozes awesomeness. But names and jokes aside, I was pleased with both pair on my Spring hiking adventures and will definitely look to Wigwam for socks outside the Winter timeframe. All the Spring 2016 hiking socks discussed above were provided for review. All opinions and words are our own and honest, and the article contains no affiliate links.